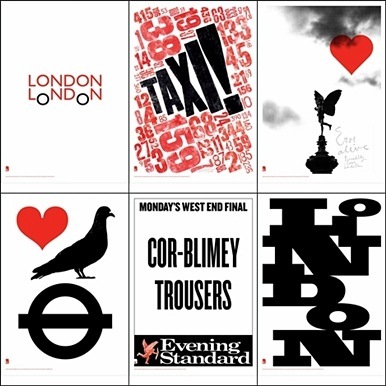 In 2003 The London Design Festival was founded. It is a free flowing call to view design in a large way. Cultural as well as commercial, it has all the things a good festival needs including posters and t-shirts. The other major element of the Festival is a selection of "Landmark Projects." These are large commissioned works that spring up during the Festival. Two caught my eye. The first was produced by AL_A, some say the leading architectural firm in England, helmed by Stirling Prize-winning architect Amanda Levete. 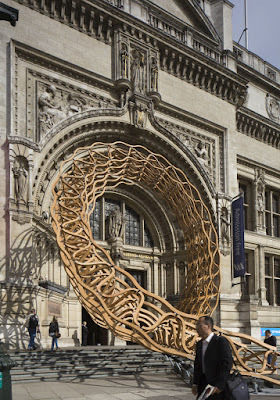 Levete was chosen to build new galleries for the Victoria & Albert Museum. 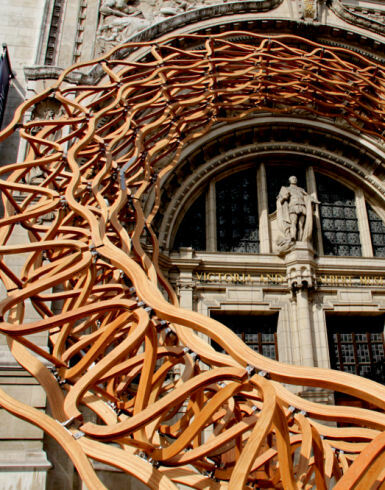 For The London Design Festival AL_A produced Timber Wave, a three story lattice cascade that, according to Levete, "respond[s] in some way to the entrance of the V&A. For us it was about making very explicit the London Design Festival residency there. We wanted to take the V&A out onto the street." The second was by John Pawson. I admit from the start that I have very mixed emotions about John Pawson. At times his minimalism strikes me as kind of a joke, like a giant white box with a single chair and tiny vase. And sometimes, his work seems magical. Mostly, my attraction to Pawson came from a cookbook he did with Annie Bell, Living and Eating. I liked the book, though not Pawson's kitchen. 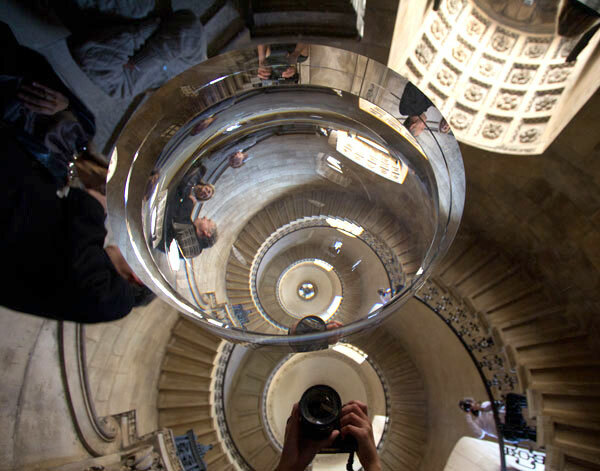 For The London Design Festival, Pawson teamed up with Swarovski to created a meniscus – the largest lens possible to manufacture. Pawson sets the lens Sir Christopher Wren's masterpiece, St Paul’s Cathedral. 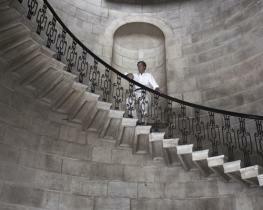 The installation entitled, "Perspectives," shows off the rarely seen Geometric Staircase. The meniscus sits on a reflective hemisphere at the bottom of the stairwell. 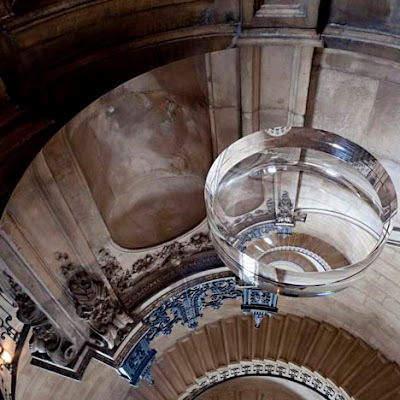 Suspended in the tower’s cupola above the stairwell is a spherical convex mirror. According to Pawson these optical devices create an extraordinary composite image of the view up through the tower for visitors gathered around the hemisphere at the base, allowing them "to see beyond the level of the naked eye." For Pawson, "It has never really been about what we put into the space, so much as how we enable people to see what is already there." This design festival will be awesome! theres no doubt about it after all. Looking back again for more blog reading. Thumbs up! Cool photography, i would like to your photo in my blog cad outsourcing services.